Life Fitness' Web site features the Life Fitness and Hammer Strength brands, providing in-depth information about the company's complete line of cardiovascular and strength-training products, as well as partner companies. Streaming product videos demonstrate proper use of the equipment. The site also includes an innovative color configurator, printable brochures and a form to sign up for the company's e-newsletter. Playworld Systems® provides recreation for all ages. From innovative and fun playgrounds for kids to LifeTrail™, a revolutionary new approach to fitness for active older adults, Playworld Systems® is a recreation company you can trust. Its playgrounds let kids safely enjoy play activities on the ground and in the air, while LifeTrail™ incorporates upper- and lower-body exercises during a normal walking routine for older adults. When it comes to action sports, Huna Designs® takes it to the next level. The company partnered with Woodward® Camp to create Woodward® Ramps & Rails, skate park equipment that's superior in product durability, quality, maintenance and design. Huna Designs® also teamed up with EntrePrises USA, one of the world's largest climbing wall manufacturers, to create the new Huna Designs Climbing Boulders. KoalaPlay Group, incorporating Delta Play Co., SCS Interactive and Superior Foam, is uniquely positioned to offer the best product and service to its clients, providing turnkey solutions for today's family-friendly environments. With products ranging from small toddler slides to soft modular play to outdoor play structures and fully themed Interactive WaterPlay™ arenas, KoalaPlay Group is able to create the right environment for your facility. 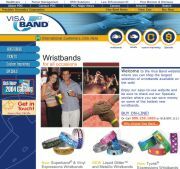 The Web site for Visa Band® wristbands from Precision Dynamics Corporation offers you one of the widest selections of wristbands to choose from at low prices. Tyvek, plastic and direct thermal wristbands are available in a huge variety of colors and styles. The easy online ordering and monthly Web specials save you time and money. Custom-print your message or logo or choose from fun, colorful, pre-printed designs. Stock wristbands ship the next business day, so you'll get your wristbands in time for your event. Wausau Tile has been a one-source manufacturer of concrete specialties since 1953. Its limitless custom capabilities and wide variety of products include concrete and armor-clad metal site furnishings such as tables, benches, planters, bollards, snuffers and waste containers; signs and markers; playground animals and equipment; precast concrete pavers and installation systems; terrazzo tile at 3/8-inch thick; precast cementitious terrazzo; epoxy terrazzo; and custom precast concrete. The Manitowoc Foodservice Group has emerged as a dominant source for food service equipment, offering a broad line of cold-focused products such as ice machines, ice/beverage dispensers and commercial refrigeration. The Manitowoc Foodservice Group consists of three divisions and six brand names. The divisions are Manitowoc Beverage, Manitowoc Ice and Manitowoc Refrigeration. Within the Beverage Division are Servend and Multiplex; within the Ice Division is Manitowoc Ice; and within the Refrigeration Division are Kolpak, McCall and Harford. When you're looking for picnic tables, park benches, grills and any other site amenities, go to the Webcoat Products Web site. 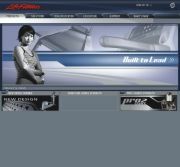 The comprehensive site will help you with any questions you may have concerning your purchasing needs. By simply clicking the link on the home page, you can view the entire catalog, which includes full-color photos, product model numbers, product descriptions and pricing. Besides seeing the catalog, you can request quotes, place orders and contact a customer-service representative with questions.